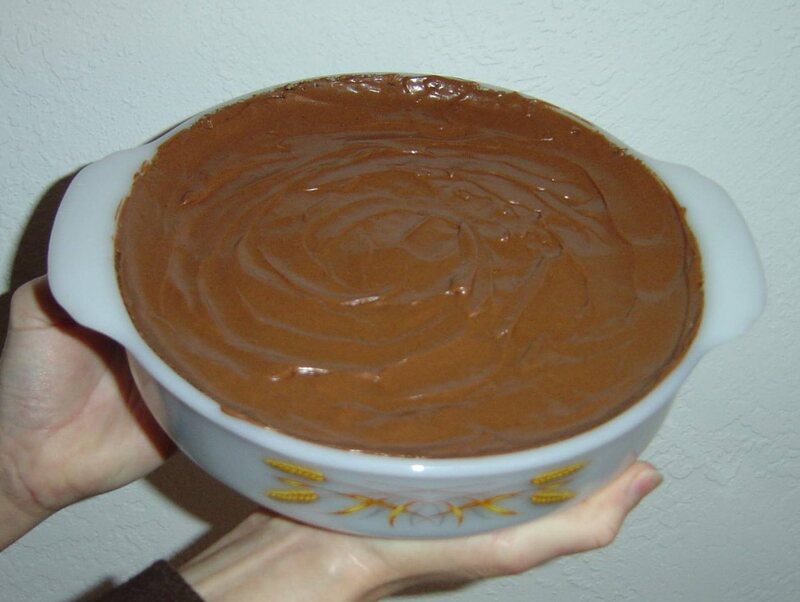 My Five-Minute Microwave Chocolate Cake! This chocolate cake is so easy and light as a feather. What I have for you is one of the best microwave chocolate cakes that I ever tasted. I found this particular recipe when my built-in oven finally died and I was in need of some chocolate cake. This recipe for my Five-Minute Microwave Chocolate Cake is just as light as a typical packaged cake mix instead of one using all-purpose flour. Trust me, I experimented with lots of versions of this cake and no recipe compares to this! However, I don’t recommend trying to eliminate the cocoa for a yellow cake version. Adjusting the flour does not work in the same way. The cake is heavier and slightly gluey unlike the airy chocolate. I am a chocolate freak. In fact, my entire family feels the same way so this flavor of cake appears often at my house. 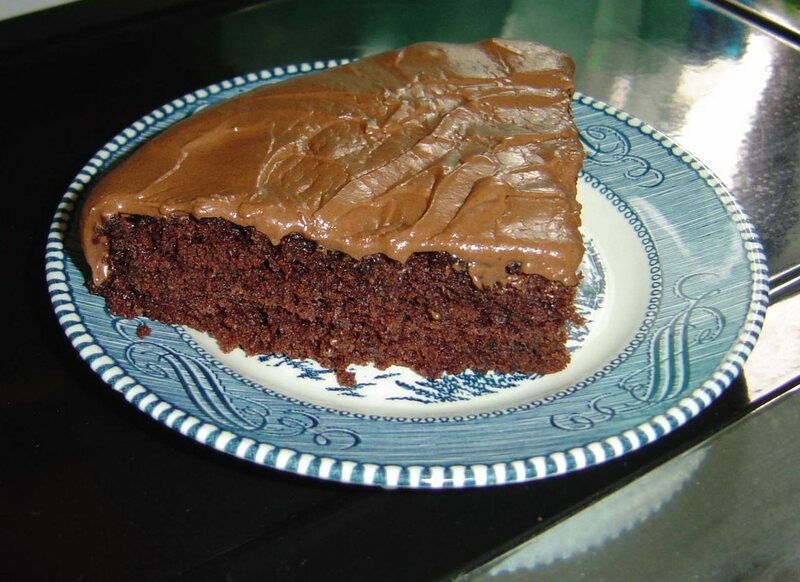 Another wonderful chocolate cake recipe that I hope that you’ll want to make is my Devil’s Delight Chocolate Cake, which is sinfully dark and delicious as well. This microwave chocolate cake is so moist and delicate in its texture. Grease a round 8 x 1-1/2″-inch microwave baking dish. First microwave the cocoa and 1/3 cup of the water on HIGH (full power) for about 40 seconds or until slightly thickened. Now sift flour, sugar, baking soda, baking powder and salt together in your mixing bowl. Add oil, the other 1/3 cup of hot water, egg, vanilla and the chocolate mixture. Beat this until smooth. Cool, then frost with my Simple Chocolate Frosting. Beat everything in your bowl until creamy and spreadable! YUM, that looks absolutely divine!! quick question: can the all purpose flower and baking soda be switched out for self-rising? or since it's a microwave, the all purpose needs to be used?I can't wait to try it!! PLUS, it's perfect for in the summer and you don't want to add heat to your house by using an oven! Debbie,I never used the self-rising flour before only plain all-purpose flour. Check my other cakes and recipes here for simple. I have a great yellow cake you just use oil. Easy is my kind of thing!Mary B. Love the blog! Thanks for stopping by mine~ I would describe my cooking as microwaving chic~ I am def. going to try out this recipe… and I don't normally say that!!! I am now a new follower~ Can't wait to read more!! Sounds delicious! Thanks for sharing! Yummo!! !Thanks for linking up to Sensational Sunday Follow through Harvest For Tomorrow. I am your newest follower! Newest follower here from the Sunday blog hop. I think I am going to try this cake it looks simple to make but oh so yummy! Drop by and check out my blog at WV Stitcher. Have an awesome week! Just made this cake yesterday. This cake is excellent! It tastes great in the microwave. I made the cake. I loved it and everyone praised me for it. This is gonna be a saver when guests come over on a short notice.